Pleased to welcome my lovely guest for today, Ms Sujatha, or better known as Suja MD among food bloggers. I got to know Suja when she emailed me, complimenting on my blog and introduced hers. That took me to her beautiful ever space, PEPPERBOWL which has delicious recipes along with excellent, bright clicks! I replied her right away offering an invitation to guest post in my space. There was never a NO, LET'S SEE, OH I'M SHY etc. reply from her. But an immediate answer, YES with a few questions. I saw the dedication in her to follow up with me once her recipe was ready. 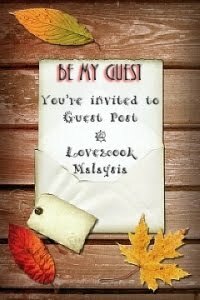 "When Sri of Love2cook Malaysia asked me for a guest post, I was literally jumping in joy. Getting an offer from whom I admire, made me in cloud nine. I love her blog structure very much. Everyone can relate themselves with her blog, as it revolves around her cute kids and her cooking. When I was going through her blog for the first time, I felt like a guest sitting in her living room. Making someone to feel like this , its really hard. And she succeeded in that. Hats of to you Sri!. She is expert in write ups, photography and of course cooking too. I wish I could inherit some of her interesting talents. Thanks Sri for giving me this wonderful opportunity. 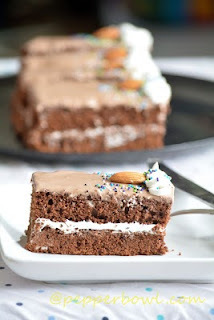 Chocolate Cakes are everyone's delight. The store bought cakes are loaded with tonnes of calories and fat. To minimize the calories and fat, home made is always the healthier choice. This recipe requires a little butter but not compromising on the taste and texture, and very easier to make. 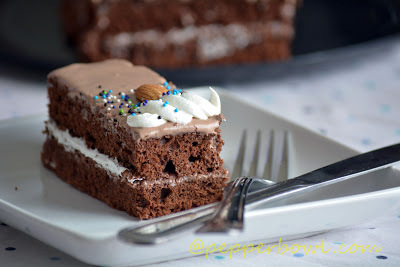 My son really enjoys these chocolate layer cake, and keeps on nagging me to prepare this again and again. Here comes the recipe.."
1.Pre heat the oven to 350, Keep all the ingredients ready on the counter. 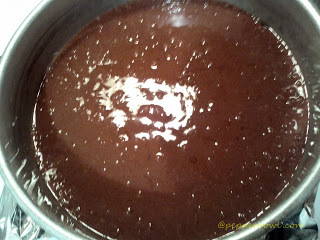 2.Beat butter, oil, sugar, cocoa powder and vanilla extract until they form a smooth mixture. 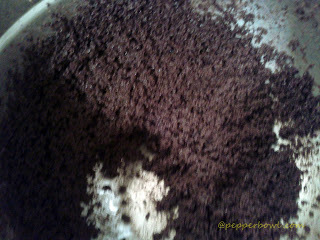 Add the eggs and beating well with the hand blender or with a ladle. 3. Then add flour, beat, then add little water, beat again, with little flour, beat, then with little water, beat...and not to get confused here, it is like adding flour and little water alternatively, by blending them well to form a smooth paste. 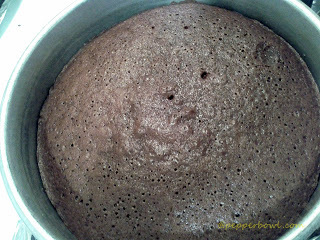 Make sure, you end up the procedure by adding flour to the mixture. 4.Grease and dust a pan, fill in the mixture we made. 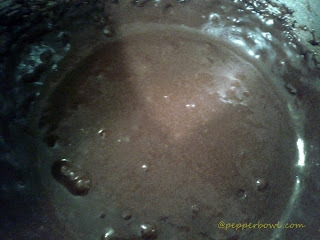 And tap the pan in the counter slightly, to get the mixture evenly spread. Dont spread it with hand or spatula. 5. 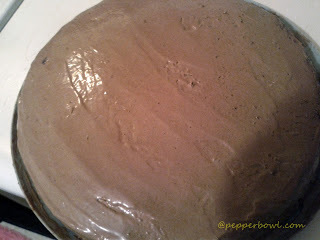 Bake the cake for 30-35 min or until it gets cooked. 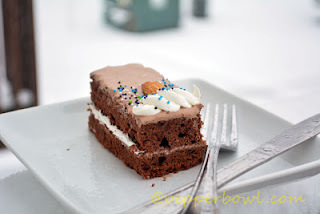 To test a perfectly cooked cake, insert a toothpick into the cake and if it comes out clean, then you'r done. Let it cool for sometime and flip it on to another plate. 6. 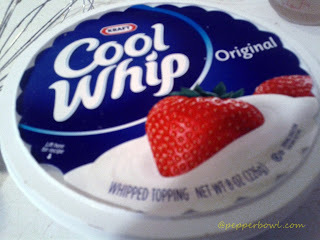 I went with the store bought whipped cream. 7. 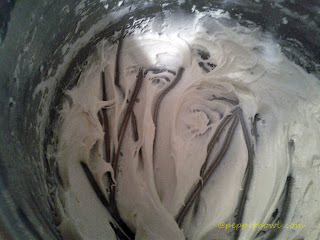 Mix whipped cream with icing sugar, to form a smooth consistency. 8. 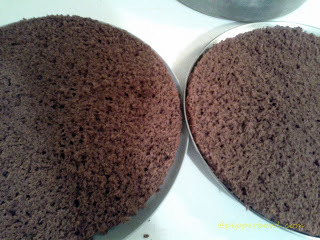 Cut the Cake evenly into 2 halves, apply the whipped cream paste, which we made in the above step. And close them again. 9. 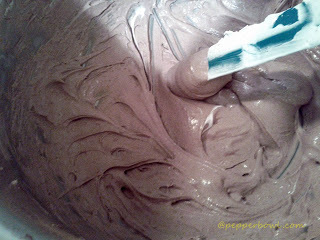 Again mix whipped cream, sugar and cocoa powder to for a smooth paste, with a hand blender or with a fork. 10. Spread the whipped cream, above the cake. Isn't that such a delight to our tummies??? Grab on, friends! wow the cake looks as though it is straight out of a cake shop ! beautiful post ! Cake looks amazing and must have tasted awesome. Thanks Rafee, for cho sweet mentioning!! 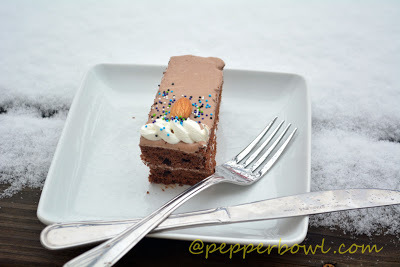 delicious cake and nice to know more about you Suja. Never knew that Suja is a chennai gal, great to know more about her..Love her space and her clicks as well. 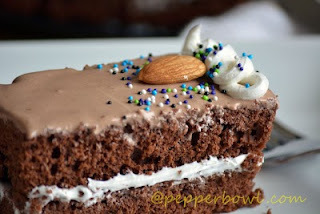 Chocolate layer cake looks extremely pretty and droolworthy, prefect for a chocoholic person like me. Blogging makes us all come together!! 3 cheers to blogger!! Lovely cake, I am definitely going to try this out. 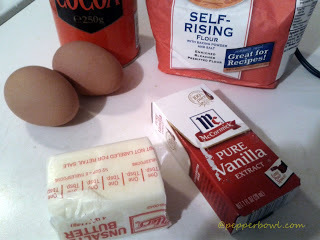 For making the frosting can I substitute the whipped cream with anything else?